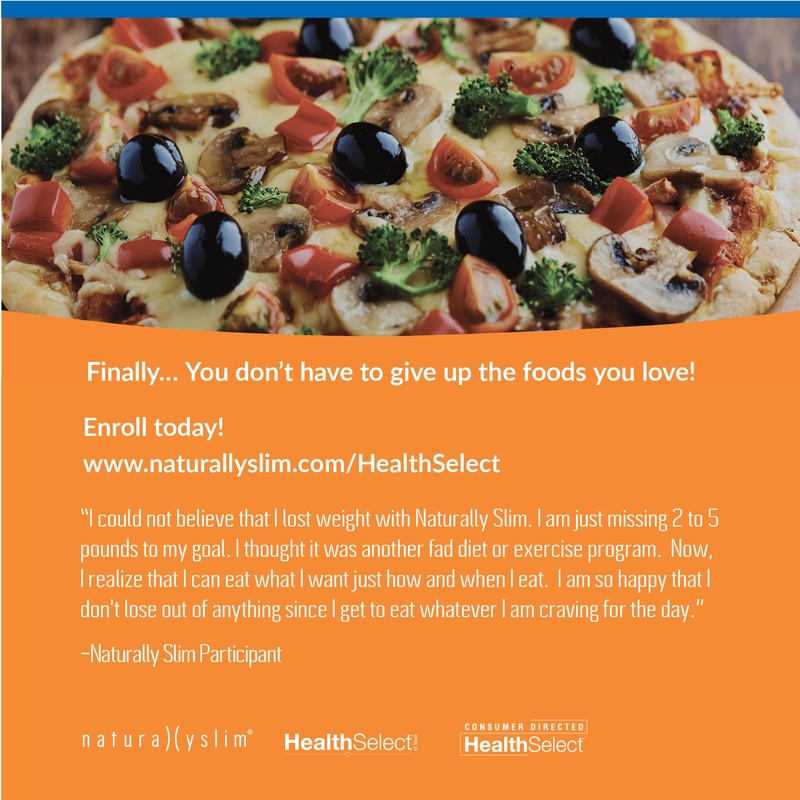 Naturally Slim is available at no cost to employees, retirees or dependents enrolled in a HealthSelect plan (excluding Medicare-primary participants) who are 18 or older and have a BMI of 23 or higher. Naturally Slim helps employees lose weight and improve their health. It’s not a diet. There are no points to count, no starving, and no eating diet food! The program teaches participants when and how to eat the foods they love while losing weight, boosting their energy and improving their health. Below you will find information and tools to help you promote Naturally Slim. Naturally Slim is being offered on demand. The program can be started at any time. Eligibility: Naturally Slim is available at no cost to employees, retirees or dependents enrolled in a HealthSelect plan (excluding Medicare-primary participants) who are 18 or older and have a BMI of 23 or higher.